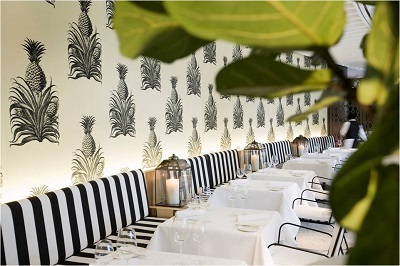 The Garden Court Restaurant offers an elegant dining experience in a unique environment. 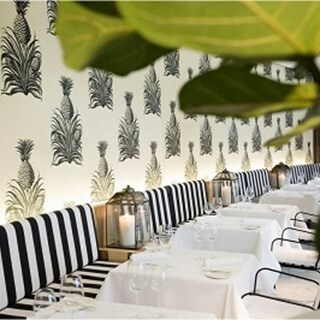 Reopened with a blend of European interior styles within and a Greek motif in the outside courtyard – the restaurant is an oasis in the bustling central business district of Sydney. With an emphasis on earthy colours and warm tones bathed in natural light, the restaurant reflects the vibrant, energetic nature of the city. The Garden Court offers an inviting, bright conservatory feel with clean lines, elegant decor, and an exclusive Private dining room behind rich drapery. Matched with an open kitchen – so you can watch the theatre of French gastronomic excellence unfold before you. Circular forms, lush foliage and curved lines will bring the lush Garden surroundings into your dining experience and create a light, bright and fashionable area for any occasion. Lovely meal and service. Enjoy getting my Accor member discount. We enjoyed  a lovely evening the service was excellent. Out waiter was delightful! Our waiter Claude was absolutely delightful. Service was exceptional. Loved the meal and Staff are excellent. The only grumbles I have is when we sat at tables that had the bench seats, the lighting is not the best which made it difficult to read the menu and  The Garden courtyard is wonderful to have but certainly needs an update. Was disappointed to have some sort of paper over the linen tablecloths. Would certainly eat there again as the meals we had were delicious. Fantastic place to dine in.. commendable. The pre theatre dinner was enjoyable and we received good service from the restaurant staff. However we were not given a receipt,  and we were told that the whole cost had already been charged. The problem is we were not sure of the cost. The food was amazing and the staff were wonderful and I really appreciated the complimentary dessert plate once our waiter new it was my birthday. Only value for money as a Platinum Club Member. Usually for a 5 star restaurant you get very small serves. The Garden Restaurant gives large serves. My wife could not finish her main and I at 112kg struggled to finish mine. Service was excellent. Wine selection reasonable and well priced. Very nice and we were so full we couldn’t order dessert but they brought two birthday dessert plates for our two friends celebrating their birthdays. Very nice and much appreciated.